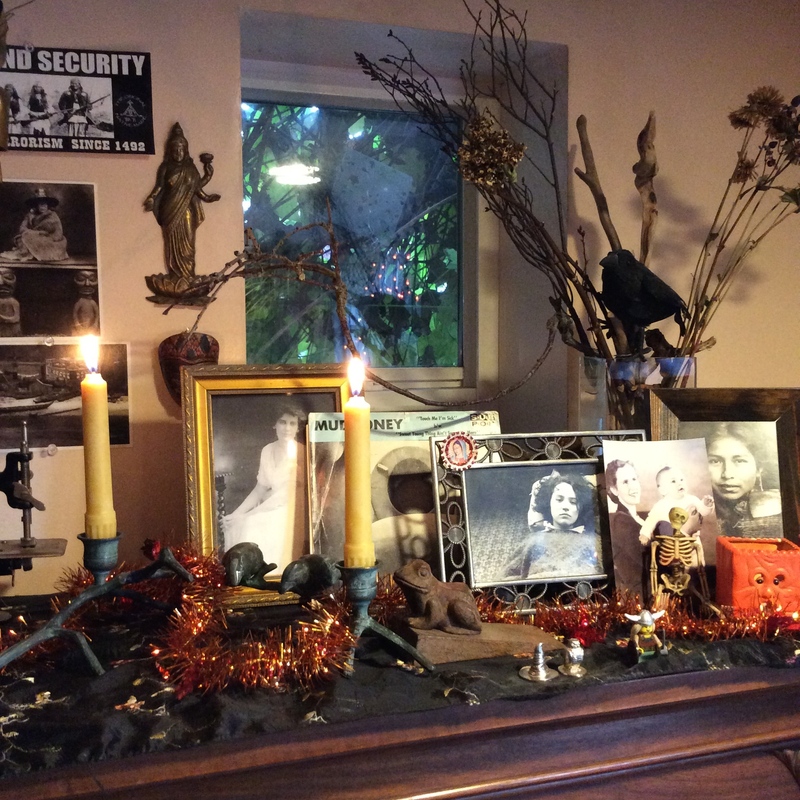 My Samhain altar this year is dedicated to my ancestors, my family, my husband’s ancestors and our recently departed. In the week leading up to Halloween, I had a very strong dream about an old friend of mine who died young. My best friend actually, in high-school, she was 17 when she died in a freak car crash. 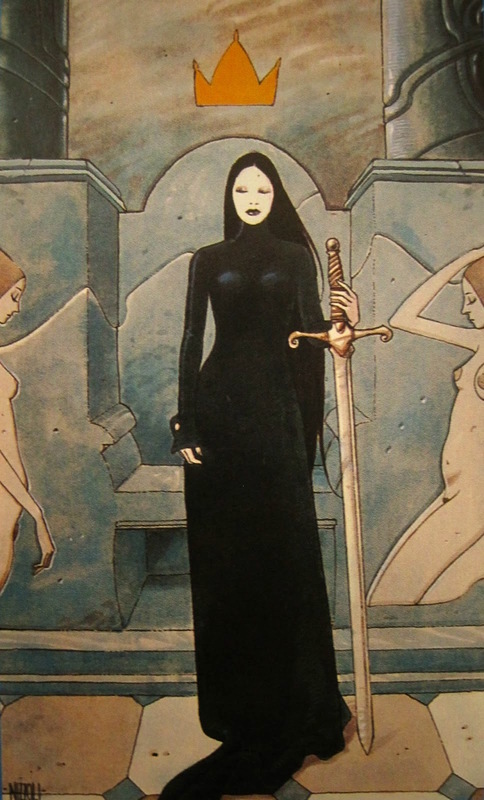 Her death effected me greatly for many years but I had not thought of her much lately. I cried for a while. After digesting the whole thing, I realized that it was a visitation. And that she wants to be remembered. 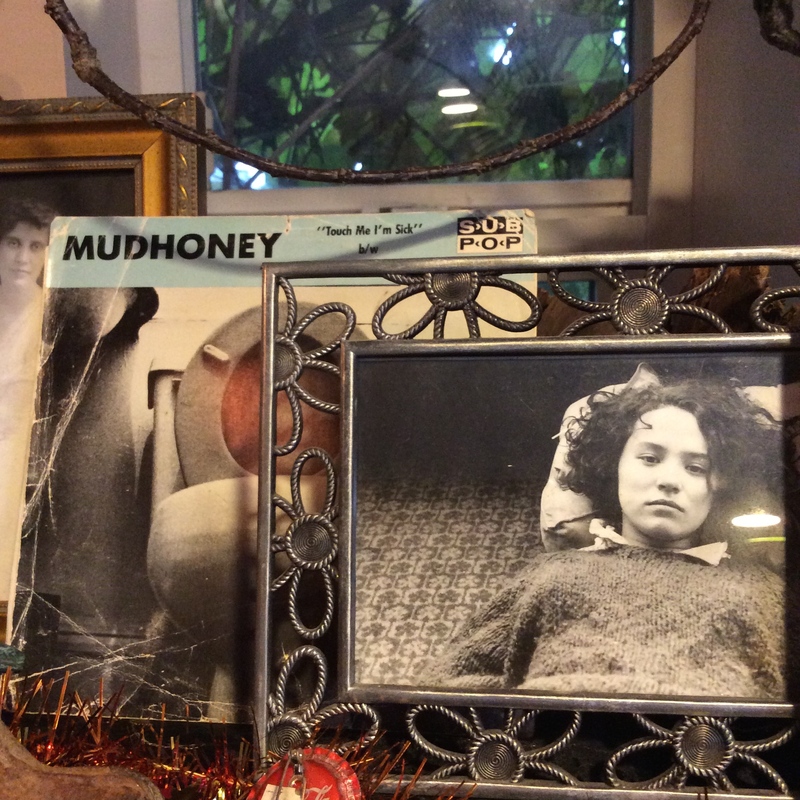 So I have her here on my altar this year, with some things of hers I still have, mainly that Mudhoney single – we were so punk rock. 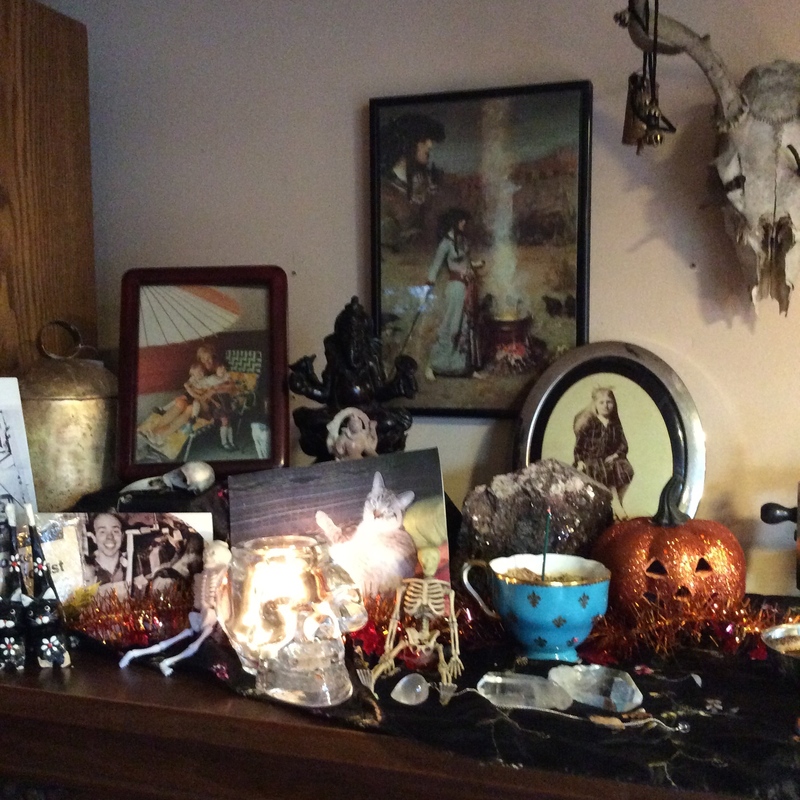 My altar is seasonal and changes quarterly, so I have items on there that correspond to where we are at on the great Wheel of the Year and to the celebration inside that quarter. 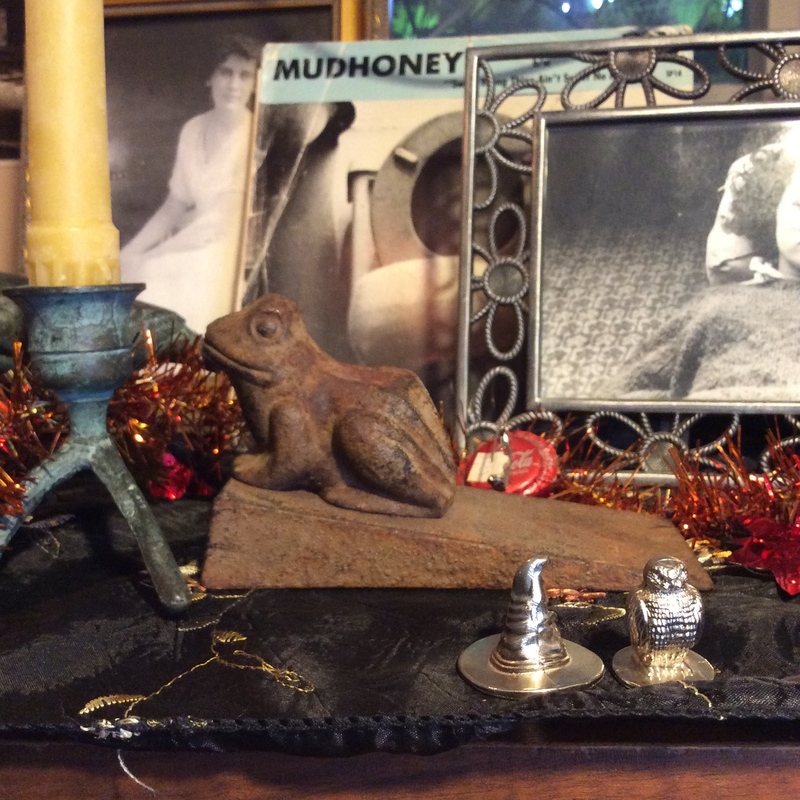 For Samhain I have Cat, Crow, Toad, skeletons, dried tree branches, pumpkins, ghosts and witches, candles and incense, along-side pictures and personal items of our beloved dead. 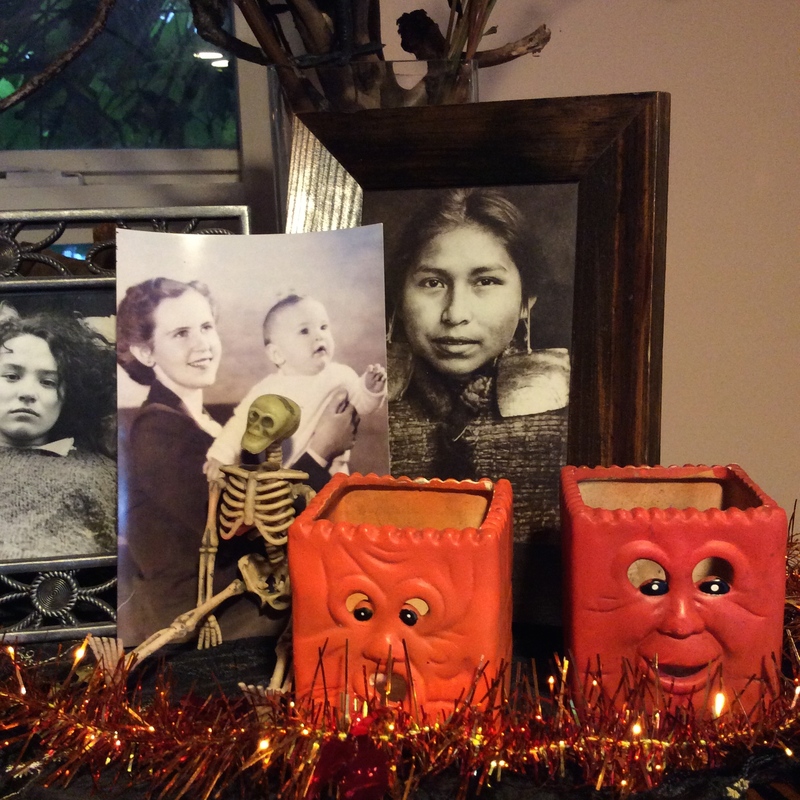 We leave offerings in little bowls year round for them and the ancestors. 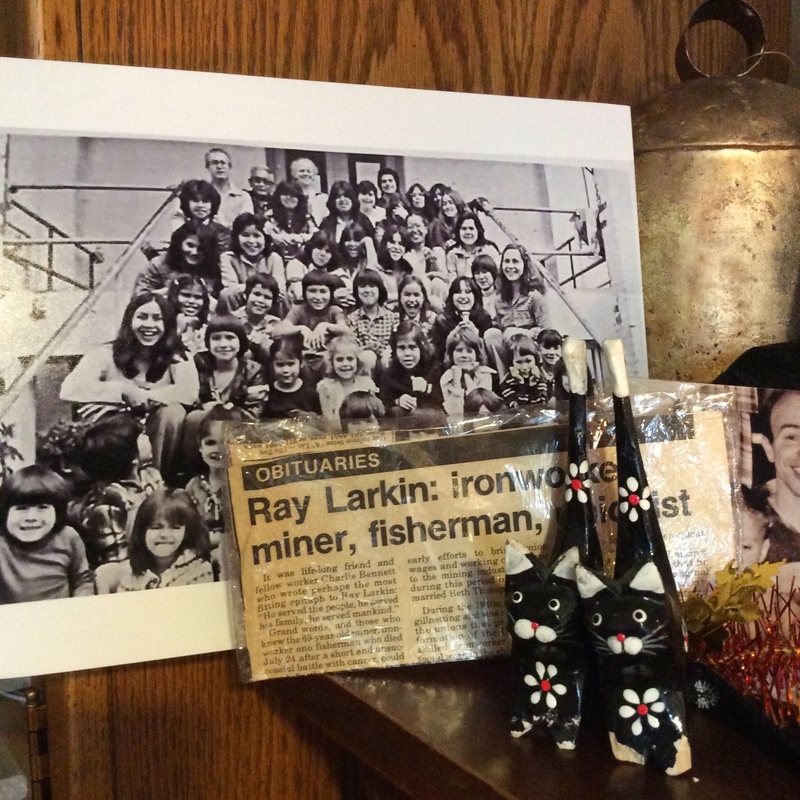 I usually leave coffee in the mornings, sometimes a treat here and there – but at Samhain we share every meal with them. Though I am not picky about where they go, I always have the four elements represented somewhere on the altar, and something representing the gods/HP/Great Spirit/Goddess. Since my spiritual path is a journey and an organic process, the images and terms can change so I use whichever (or whomever) is speaking to me at the time. I love altar sharing. Have any pics of or links to your altar? I’d love to hear about it in the comments below!